The American Craft Council has announced the recipients of its inaugural Emerging Voices Awards. The awards recognize one emerging artist, four finalist artists, and one emerging scholar or critic. Head online to see videos of the honorees: artist Jaydan Moore, scholar T’ai Smith, and finalists Ashley Buchanan, Thaddeus Erdahl, Matt Hutton, and Annie Vought, plus slideshows of their work. In Origins, learn about the beginnings of the venerable Museum of Contemporary Crafts, now known as the Museum of Arts and Design. ACC librarian Jessica Shaykett and museum director emeritus Paul J. Smith culled a list of 10 memorable exhibitions from the MCC era to highlight online. 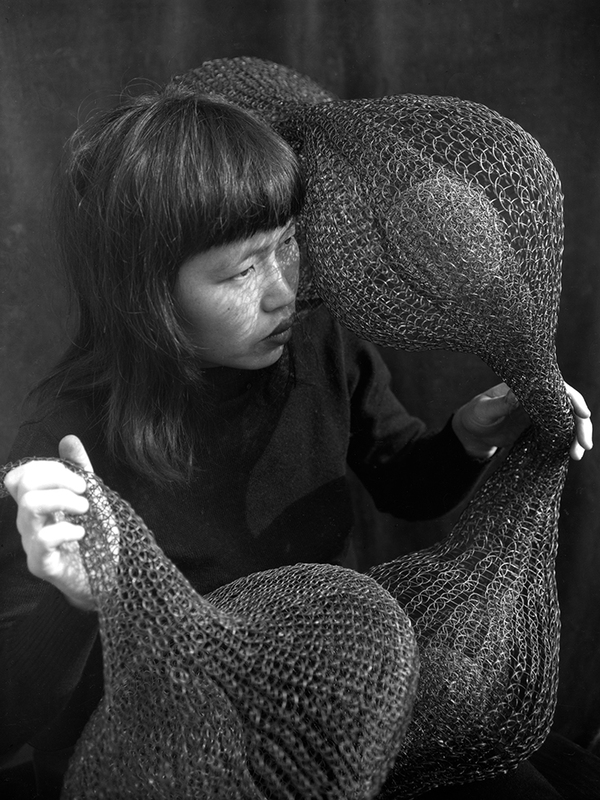 Female craft pioneers of the 1950s and ’60s influenced postwar visual culture by making art from so-called alternative materials such as textiles, ceramics, and metals. Today, however, much of their legacy remains unexamined. 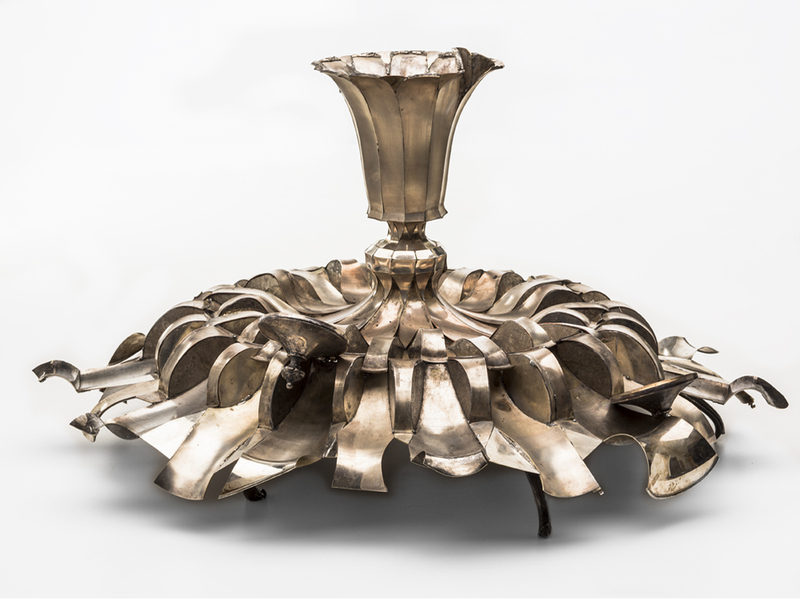 The Museum of Arts and Design sheds light on this work with its current exhibition “Pathmakers.” For the inside story, assistant editor Dakota Sexton talked with guest curator Jennifer Scanlan. Expanding on our Ideas panel this issue (“Museums Reimagined”), American Craft editor in chief Monica Moses connected with Weisman Art Museum director Lyndel King and marketing expert Shelly Regan to find out what the museum has done to engage and involve visitors. ACC education director Perry A. Price caught up with Garth Johnson, the new curator of ceramics at the Arizona State University Art Museum and Ceramics Research Center. Johnson talks about his new role, his vision for the center, and more. There’s so much more that we’ve posted the extended interview on our website. 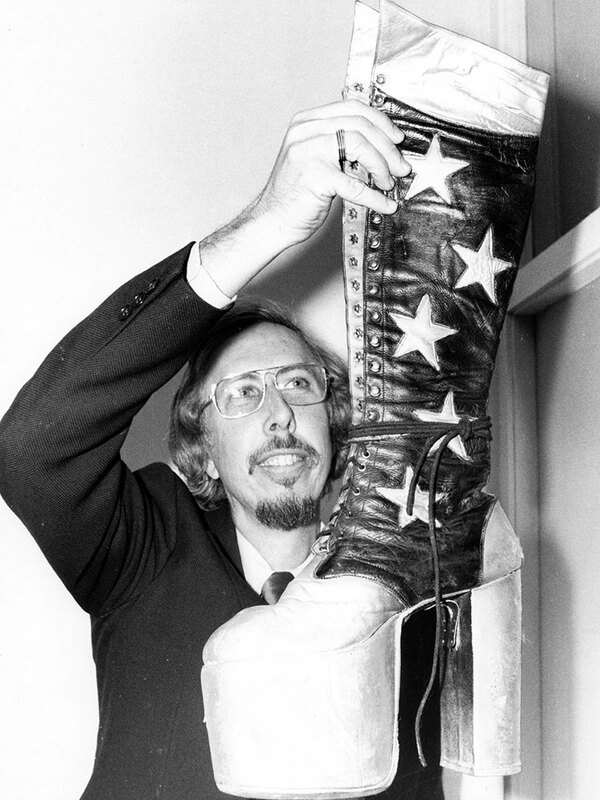 Paul J. Smith holds a boot that belongs to Paul Stanley, rhythm guitarist and lead singer of Kiss, the rock group. The boot was featured in the exhibition "The Great American Foot," on view at the Museum of Contemporary Crafts from April 14 - June 30, 1978.